Here’s this week’s group of prognostications designed to keep you out of trouble (if that’s even possible). They range from pierogies to cadavers, and of course we can’t forget the lug nuts. Aries… Uranus is trans-jected against Mercury now. That’s not good for you. Someday, will constantly drool into a pool. People will think you’re a fool, and shun you. Sorry about that. Taurus… Saturn is appositionally adjacent to Taurus at this time. That’s never a good omen. One day soon, you will suddenly find it amusing to chew with your mouth open while in public. People will then eschew you. Sorry. Gemini… The Sun is post-conjected to Gemini now. That’s never good. In the future, you will write a book called, “How To Polish A Pierogi”. You will sell many copies, but you will gain three hundred pounds in pierogies doing the research. Cancer… Neptune is tri-genical to Mars at this time. That’s an unfortunate pairing. One day in the future, you will have an eye refraction or suffer a fracture. It could go either way. In any case, it won’t be a pleasant experience. Sorry. Leo… Mercury is in projected di-urnal now. That will bring you trouble. In the distant future, you will either kiss a cadet or a cadaver. In either case, it won’t be a pleasant experience. Sorry. Virgo… Uranus is semi-conjunctive with the Moon now. That’s never favorable. Not long from now, you will be robbed in Istanbul or gored by a bull. It could go either way. It won’t be pleasant. 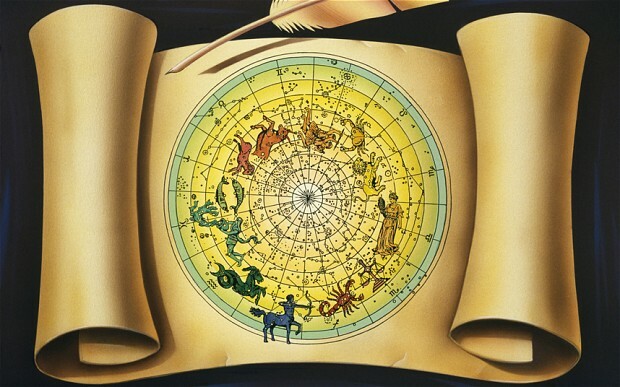 Libra… The Earth is super-trigenital to Libra at this time. That will bring you problems. One day in the future, will be kidnapped by elves who will tickle your fancy day and night. You will grow tired of it quickly and become frustrated. Scorpio… Pluto is nearing its transcendence now. It foretells trouble for you. In the future you will awaken to find yourself fertilizing a manure pile. Sagittarius… Jupiter is tri-orbital to The Earth now. That’s a negative sign for you. You will awaken one morning to find that you’re out of your mind. You will try to get back in, but the door will be locked. Sorry. Capricorn… The moon is in Capricorn now and doesn’t like it. That means trouble. In the future, you will write a book called, “How To Love Your Lug Nuts”. Only a few auto mechanics will but a copy. You will become depressed. Sorry about that. Aquarius… Venus is post-conjected at this time. That foretells trouble for you. Somewhere, sometime, you will drop someone’s name. It will break. They’ll become upset, and you’ll lose everything as a result. So sorry. Pisces… Mars is in its fifth house now planning a poker party. It’s not going well. That means trouble for you. In the future, your friends and family will abandon you when you keep insisting that you live with an invisible, two headed unicorn named, Putzy Pie.